I was idly wondering what Dean Potter had been up to recently and have discovered that he’s certainly not been idle. 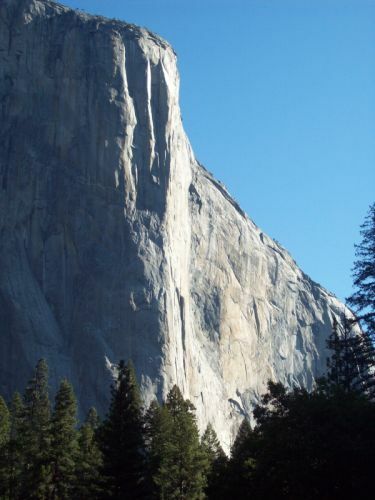 He has just set another speed record on one of the most famous climbing routes in the world – The Nose on El Cap. Breaking the previous speed climbing record on The Nose is a coveted prize for all speed climbers and many illustrious climbers have tried it. On 6th November, 2010, Potter and Sean Leary, did it – and shaved 20 seconds off the previous time. I have profiled Dean Potter many times before, but never the respected big wall climber Sean Leary, nicknamed Stanley because he once used that type of hammer on a climb. Climbing The Nose is a multi-pitch climb, 31 pitches to be exact. They completed it in 2 hours 36 minutes and 45 seconds. The previous record, held by Hans Florine and Yuji Hirayama was 2 hours 37 minutes and 5 seconds. There was just a whisker in it, but in speed climbing that whisker is all that counts! Speed is the ultimate goal and if you climb with a partner you can alternate between regular free climbing, simul climbing, aiding, and sometimes sectioned roped soloing. It’s not that long ago that climbing El Cap at all was considered an impossibility, but it was finally successfully climbed in 1958 . It took 45 days to scale the 2,900 ft (884m) wall and now you have climbers (a skilled handful only) doing it in under 3 hours! As you will have seen from the video, most people climb this wall , in this day and age, in 2 – 3 days! The records people like Potter, Leary, Florine and Hirayama are setting are quite extraordinary. Not about to waste time and in an effort to put the record well out of Florine’s reach, Potter and Leary tried again on Monday,15th November, but due to wet conditions they fell three minutes short to improve on their time. “We were faster than we were the last time until the last 600 feet, where it was the wettest,” said Leary, 35. They plan to make another attempt in December or in the Spring. Constantly pushing the boundaries of human endurance, 38-year-old Dean free-base climbed the north face of the Eiger, 13,000ft (3,962m) in 2008. “Free-base is a combination of free climbing and base jumping,” he says. 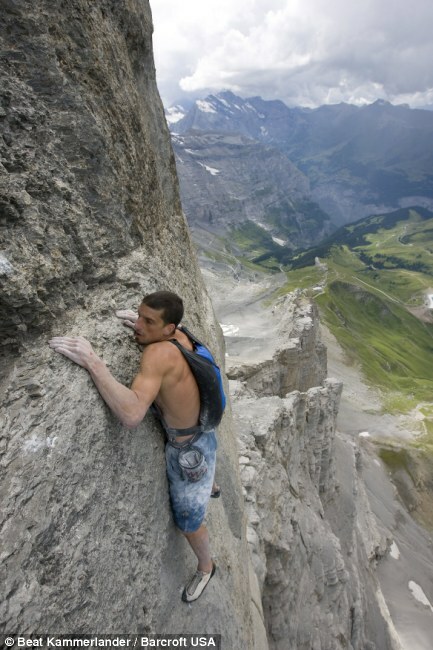 Free-base is climbing without ANY safety equipment – in other words, barehanded. His sole back-up was a small custom designed 6kg parachute on his back. On completing his climb, he casually turned around and jumped. What next for this highly respected adventurer? Didn’t Alex Honnold and Hans Florine subsequently beat this record by 20 minutes or something? It’s quite possible that they have done – this post was in November 2010. I shall have to check it out… thanks for bringing it to my attention!